If the logo, image and text for your sell sheet pad is 100% black ink...select "All Black Ink". If your sell sheet pad has any ink colors other than or in addition to black...Select "Colors Other Than All Black". You would select this option for 1 ink color other than black, 2 ink colors, 3 ink colors, 4 ink colors or full color. There is no set up fee on our custom notepads. Most of the other suppliers charge a set up fee of at least $25.00 per individual color. Do You Want Printing on the Back of Each Sheet? If you select NO, there will only be printing on the front of each sheet. If you select YES, then you will have the option to print all black or full color on the back of each sheet. Personalized Paper only uses premium quality paper from Hammermill. Our 20LB or 24LB white paper are 97 brightness, which really makes the color pop off the page. 150LB Tagboard Backing This is the most common option selected. Heavy Chipboard Backing Heavy chipboard provides a semi rigid back and is approximately twice as thick as tagboard. Does Your Pad Have a Bleed? Please follow the instructions below if you selected to have a bleed on your custom pad order. design. For example, if you order a 4 x 6 notepad your final file size for a bleed should also be 4 x 6.
they will not get cut off. 3. Any graphics or text that are supposed to bleed should extend to the edge of the file. Please note, our production team will cut into the margins in order to create the bleed so the overall size of the notepad will be reduced by up to a ¼ inch. Magnet on the Back of Your Pad? YES-Printpps will attach a magnet to the back of each pad. You can download unlimited PDF proofs (on the online design studio page) prior to purchasing from us. If you upload a completed design to us, the file you upload is your proof because we print directly from the provided file. On rare occasions, customers have very specific color, formatting, and registration requirements. The only way to determine if the product you are ordering matches your requirements is for you to pay for a hard copy proof to see if the product matches your specifications. 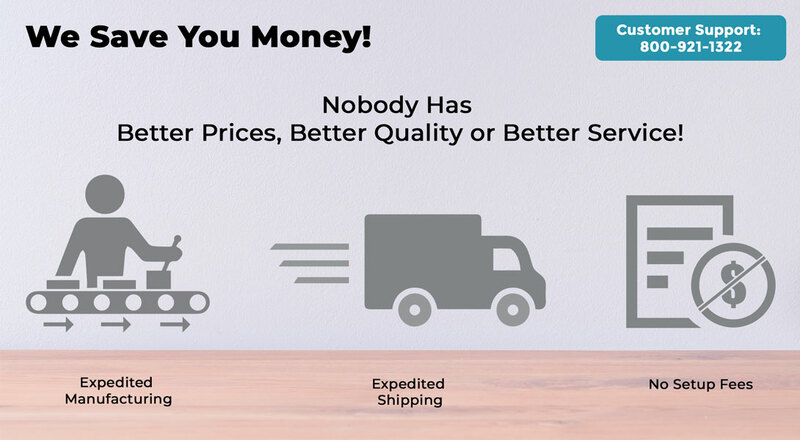 We will be happy to send you a printed proof for a non-refundable charge of $33.00 via FedEx standard delivery or $69.00 for FedEx Next Day Air delivery. If your order exceeds $1000 you can request a free hard copy sample for you to approve prior to Printpps printing your order. If you submit an order and do not request a hard copy color proof, your order will be printed as is. Personalized Paper Store will not be liable for color, formatting, or registration variation from the PDF proof visualized either on a computer screen or printed out on your printer. Typically, orders are shipped within 4 business days with a few exceptions. We offer expedited manufacturing so you can have your order prioritized, produced and shipped faster. With most products, we can ship as soon as the next business day. NOTE: The ship date you select is not when your order will arrive. Example: If you select to have your order shipped within 5 business days and you select FedEx Ground at checkout, we will ship your order within 5 business days of the date you place your order and then ship your order via FedEx Ground which will give you an arrival date of approximately 3 to 5 business days from the date your order was shipped. Superior quality custom coupon pads sized 4.25" x 5.5" from North America’s largest manufacturer of custom coupon pads for over 19 years. After you complete STEPS 1 thru 3 in the calculator on the left, you will be given the option to design your product online in our design studio or if you choose, you can download a pre-sized template and create your product design offline at your leisure and then upload your design in STEP 3 on the left. We also give you the option to work with one of our talented graphic designers to design the perfect product. You have full access to our image library so you can design a coupon pad to fit any occasion. Use the product calculator on the left to see our standard customization options. Size: 4.25" x 5.5", bound on the 4.25" side or 5.5" side. 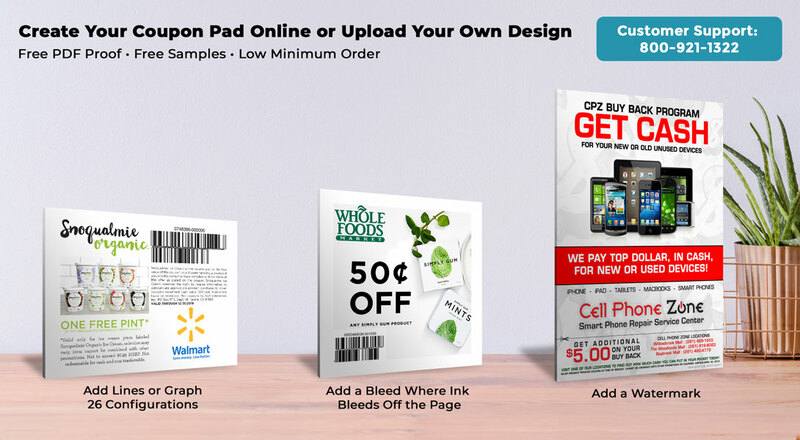 Create your coupon pads in either portrait or landscape. 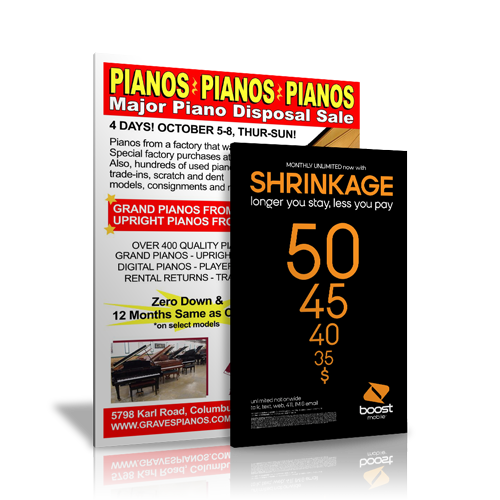 We feature an option to print on the front and back of each sheet. Select 25 or 50 sheets per pad with your imprint on every sheet. 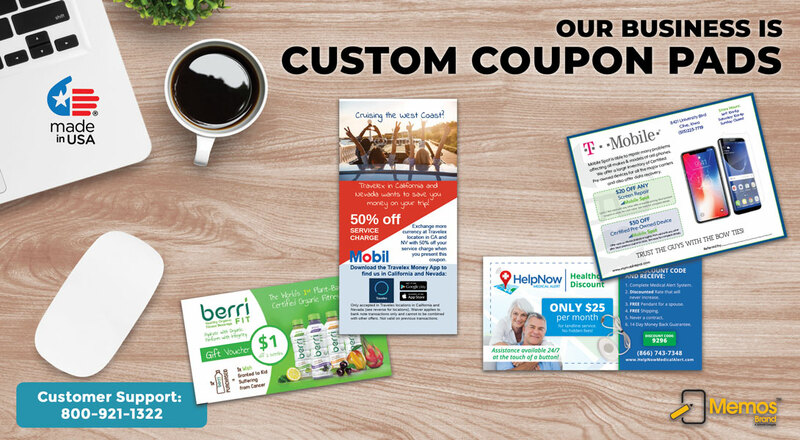 Print your coupon pads in full color or economical all black. 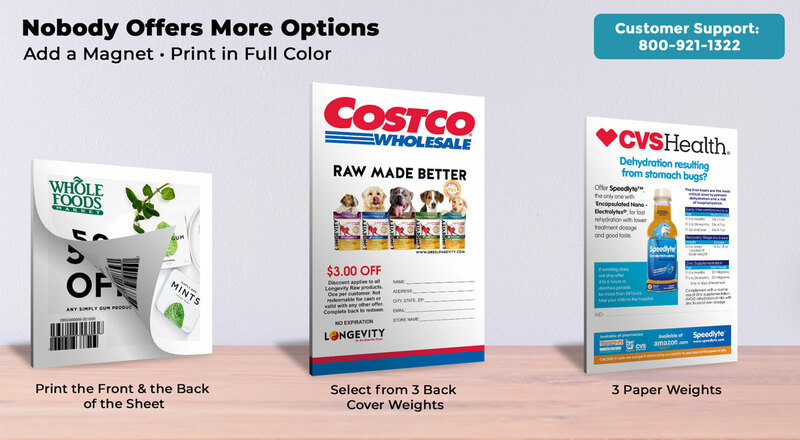 You can create your coupon pads with a bleed and/or a watermark. Select from white 20LB Bond paper (same as 50LB Text) or 24LB Bond paper (same as 60LB Text). 150LB sturdy manila board back or optional heavy chipboard back. Optional heavy duty magnet to attach your coupon pads to metal surfaces. (Please note that magnets do not adhere to stainless steel or other artificial metal surfaces). Free online proof or select to have an actual hard copy sample. Your order can ship as early as the next business day. INSTRUCTIONS: Below, upload the appropriate file(s) from your computer for the product you wish to order. Please make sure to upload an accepted file type that is print ready and is the correct size.